Today’s guests are Michelle and Suzanne Rousseau, Jamaican-born sisters, chefs and authors. They established their culinary reputation with the debut in 1996 of Ciao Bella, a groundbreaking Kingston restaurant that created a paradigm shift with its artful use of Jamaican ingredients and classic cooking techniques. Michelle and Suzanne used their culinary knowledge and effervescent personalities to inspire appreciation for Jamaican traditions with their hugely popular food and travel show, “Two Sisters and a Meal”. They also produced and starred in the web series, Island Potluck, a joint production with the Jamaica Tourist Board. 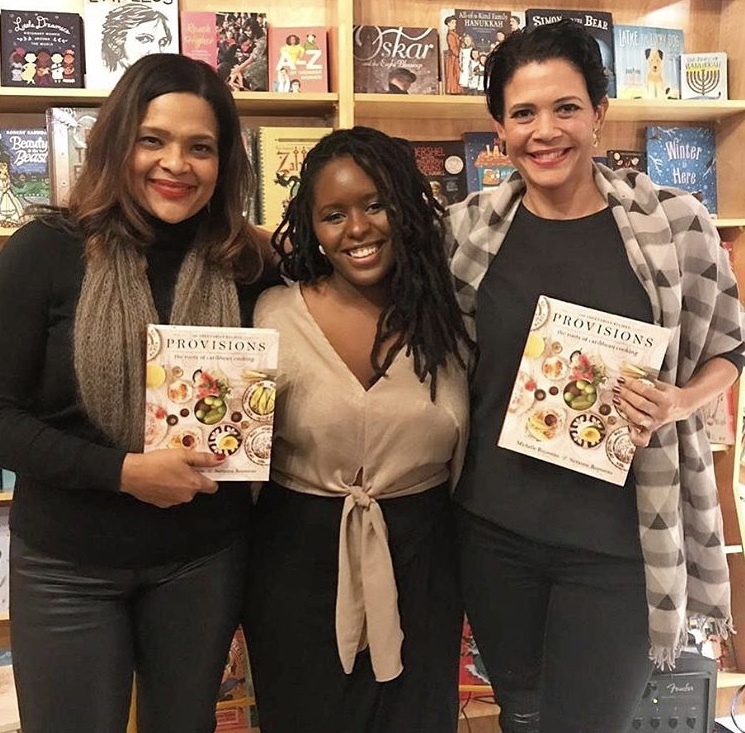 Their first cookbook, Caribbean Potluck, received critical acclaim and was named among NPR’s Best Books of 2014.